The Mughals ruled much of the Indian subcontinent for more than 300 years after they came to power early in the 16th century. It was one of India's biggest and most powerful dynasties. Many of its emperors and royal women, including Nur Jahan, were patrons of art, music and architecture - they built grand cities and majestic forts, mosques and tombs. And as the dynast's only woman ruler, Nur Jahan is omnipresent in the folklore of India, Pakistan and Bangladesh. Stories about her abound in the homes, and near monuments, in Agra in northern Indian and Lahore in northern Pakistan - two major cities in the Mughal era, especially during her reign. Older men and women, tour guides and history aficionados tell stories of how Nur and Jahangir met and fell in love; of how she saved a village tormented by a man-eating tiger - she shot it deadwith a musket from her perch on top of an elephant. She was a poet, an expert hunter and an innovative architect. Her design for her parents' tomb in Agra later inspired the construction of the Taj Mahal. A remarkable leader in a male-dominated world, Nur didn't come from royalty. Yet she ascended from the emperor's harem to great heights as an astute politician and the favourite wife of Jahangir, ruling the vast Mughal empire as a co-sovereign. But how did she become so powerful at a time when women rarely occupied public space? There is a lot to be said about her upbringing, the supportive network of men and women by her side, the special relationship she enjoyed with Jahangir, her ambition, and her land and its people. The plural, rich and tolerant culture of Al-Hind - the land beyond the river Indus, as the Arabs and Persians called northern India then - allowed different sensibilities, religions and traditions to coexist. Raised in a blend of traditions from her parents' birthplace and their adopted homeland, Nur first married a Mughal government official and former military officer in 1594. She moved with him to Bengal, a rich province in eastern India, and gave birth to her only child. When her husband was suspected of participating in a plot against Jahangir, the emperor ordered the governor of Bengal to bring him to his royal court in Agra. But Nur's husband was killed in a battle with the governor's men. The widowed Nur was given refuge in Jahangir's harem, where other women gradually started to trust and admire her. She married Jahangir in 1611, becoming his 20th and final wife. Though few women were mentioned in official court records at the time, Jahangir's memoirs from 1614 onward confirm his special relationship with Nur. And he painted an admiring portrait of her - as a sensitive companion, a superb caregiver, an accomplished adviser, a skilled hunter, a diplomat and an art lover. Yes, the emperor was a drunkard and he smoked opium. Yes, he was deeply in love with his wife. But that's not why Nur became a ruler to be reckoned with. In fact, Nur and Jahangir complemented each other, and the emperor never felt uncomfortable with his wife's burgeoning influence as co-sovereign. Soon after their marriage, she issued her first royal order to protect the land rights of an employee. 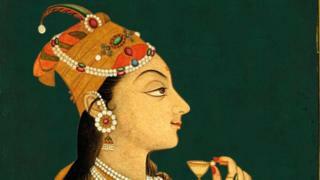 Her signature in the order read, Nur Jahan Padshah Begum, which translates as Nur Jahan, the Lady Emperor. It was a sign of sovereignty and an indication that her power was growing. One courtier described an incident where she surprised many by appearing in the imperial balcony, which was reserved for men only. This was not her only act of defiance. She also led an army to save the emperor when he was taken captive - a daring act which ensured that her name was etched indelibly in public imagination, and in history. Historian Ruby Lal teaches at Emory University and is the author, most recently of Empress: The Astonishing Reign of Nur Jahan, published by WW Norton in US; and Penguin India, in India.